NFIC, and Perry Ray Robinson Jr.
February 5th, 2013, What?! Wounded Knee For Sale, Wounded Knee, the site of one of the most horrific and tragic events in all of American history, is being offered up for sale by its owner. The family of James A. Czywczynski, owners of two 40 acre sites of land where the slaughter of approximately 300 Lakota men, women, and children took place on Dec 29, 1890 has agreed to sell the land for $3.9 million dollars. “It is time for our family to sell the land. We would really like to see the land returned to the Lakota people and that is why I am giving them an opportunity to purchase the land before I open it up to others for sale,” said Czywczynski. “I could offer it up for public auction like the Runnels did with Pe’ Sla, but I would prefer that the Lakota people be the ones to purchase it,” he added. 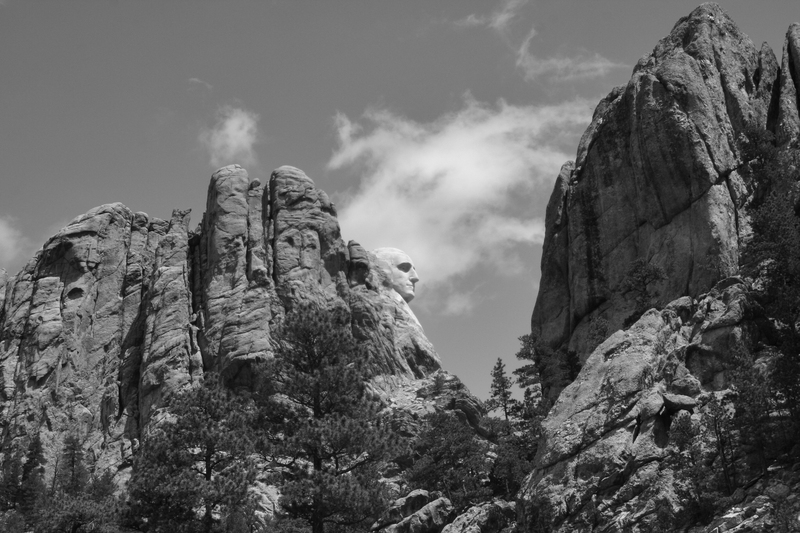 The Runnels family was the owners of the Pe’Sla sacred site located in the Black Hills of South Dakota. The Runnels family placed the land up for sale asking $9 million dollars. The price reportedly reflected the potential development and investment opportunities there. The offering forced tribes to scramble to raise the $9 million dollars needed to purchase the site which they eventually did. The final $1 million needed to purchase Pe’Sla was driven by a social media campaign by Native American attorney, activist and founder of LastRealIndians.com Chase Iron Eyes said that the site should be offered up for sale to those with the financial ability to purchase the lands. “I feel that as part of asserting our own role in the telling of our stories and our history, we should have a proper monument and cultural exchange center near the spiritually heavy and tragic grave site where we can tell the world what happened and how we are healing from this scar on our hearts to make a way for ourselves,” said Iron Eyes. “A seller would need to talk to the people with the financial means to make that happen,” he said. The site does not include the mass gravesite where the members of the United States 7th Cavalry piled the bodies of those who were murdered that day. However, the parcels of land do include the immediate surrounding area where the massacre took place and the area surrounding Porcupine Butte (the site of KILI radio is not included). It does include the site of the original Wounded Knee Trading Post. The losses the he incurred during the occupation have been included in the $3.9 million offering. “I was never repaid for the property losses I had as a result of what happened there in 1973,” he said. “The price that I have placed on the land is an attempt for me to reclaim my losses, and an attempt to get fair market value for the land,” he added. In a conversation with Native Sun News Mr. Czywczynski made it known that he does have several potential non-Native buyers who are ready to purchase the land but, would prefer that someone representative of the tribe be the ones to buy it. “I could sell the property to someone from outside the tribe but I really do not want to do that,” said Czywczynski. “This is a real chance for the tribe to take advantage of an opportunity to bring more money and people to the reservation. It could be done in a respectful way for those who passed there,” he added. In the past the tribe has been hesitant to develop the land at Wounded Knee as a result of some tribal members voicing the opinion that any attempt to make the site a tourist attraction, would be disrespectful to their family members who were gunned down there in 1890. However, there are other tribal members who believe that a museum and cultural center would be very beneficial to the people of the Pine Ridge Reservation. 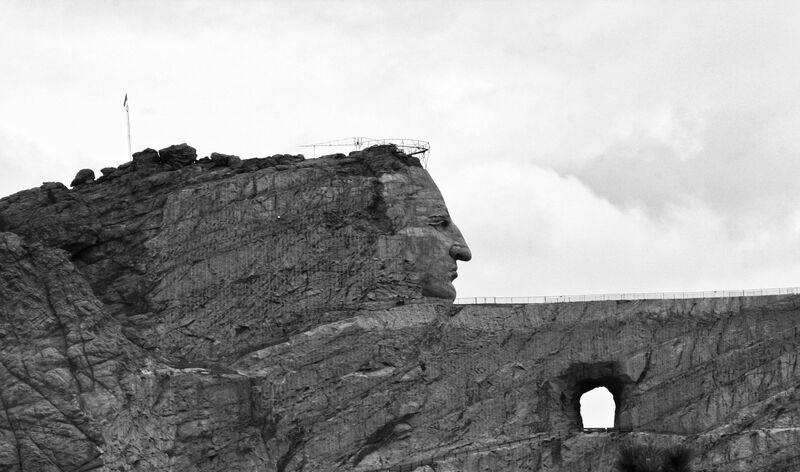 It has been rumored that the National Park Service would support such a project and South Dakota’s Congressional delegation would also find such a project favorable. A recent survey of sites European tourists would most like to visit if they came to America put Wounded Knee near the top. The tribe however, has very few options in regards to bringing in new revenue to the reservation without tapping in to natural resources because of public outcry against it. The recent protests against potential uranium mining and the Keystone XL pipeline are indicative of this public sentiment. For many years there has been a movement by those in the economic development field on the reservation to further expand the tourism industry on the reservation. Mr. Czywczynski feels that the purchase of the site will help to spawn more investment opportunities for the tribe. “People are interested in what happened here and this could potentially bring in millions of dollars to the reservation,” he said. Native Sun News will continue to follow this story as it develops. This article speaks of opposing factions-those wanting to develop the area for “tourism” and those opposed, of interest to me is who are heading up the “tourism” effort? All the land, the condition of it, and the way it is maintained should be reflective of the oft spoken words of a traditional belief of respecting and caring for it. Yet this isn’t the reality, litter covers any area in proximity to habitation, broken down rusting vehicles, graffiti, and the all too common prevalence of beer cans and wine bottles. It doesn’t take 3.9 million dollars to address these issues, and some ongoing communal effort should be made to attended them. Czywczynski speaks of another reality-the loss of personal property that was a hallmark of WK2 and the failure to ever be compensated which he says is included in the asking price, in my opinion his right to do so. I’ve never approved of land held by indigenous people being leased out or sold to anyone, yet that too is a reality for a variety of reasons. When this has occurred it is usually the best of available resources and always done for financial reasons, but somehow it is our people who always get the short end of the stick. Land buy backs have become a way of life in what has become a debtor nation driven by consumerism, but it seems particularly egregious when indigenous people have to buy back land that was originally their’s in the first place. But it is to Czywczynski‘s credit that he expresses a desire for it be purchased by the original owners. Land has been lost due foreclosures on loans and taxes- in the event of a foreclosure it is due to the land having been offered as collateral-to me that is the same as offering a family member for collateral or placing them into an indentured service for a number of years, which was once a common practice early on in the history of the “development” and growth of what was to become the United States. It could be rightfully said that a form of this indentured service exists to this day for the American consumer and what amounts to debtors prisons where when a court has ordered payment and a person is unable to do so they can be jailed for violating a court order. Tribal councils have modelled themselves after the very governmental system that has subjugated them, and they conduct business in much the same way-politicians by and large are just that, politicians, replete with what seems to be the obligatory warts, and it remains a mystery to me how any would deem this system of governance to have a greater value than the traditional form of leadership that was in place and handed down through countless generations. Of course some will argue that we had little choice, that it was mandated and forced upon us, and there is a truth to that, but the manner in which it has been embraced and conducted is what defines it in ndn country. An embrace that has led us to be debtor nations in the pursuit of loans, grants, and funding. Is it our due, these governmental handouts that lead to dependency? There are those who will say yes-that it is payment for what has been taken, and perhaps in a manner of speaking it is, but collecting on a bill shouldn’t lead to dependency or being vulnerable. Assimilation is a very real occurrence, a part of that is in becoming debtor nations, embracing foreign concepts, and the commercialization of ceremonies and the land, a road we have travelled some distance down while failing to, or ignoring the signposts along the way. When Pe Sla is developed and commercialized for what will amount to nothing more than attracting tourism and every new age and bizarre cult that ponies up the “fee” will have access another nail in the coffin of assimilation will have been driven. It behooves us a people to look at who is wielding the hammer, what the end result will be, and ultimately to decide if money and the agendas of a few trump all other considerations. “The land isn’t for sale”-how many times have we heard that along with “it is a good day to die”-yet we see the land is often sold, trashed, or otherwise abused-we need to stop speaking in cliches for an internet audience and begin living what we say we believe, stop playing a role and live it. My thought would be to buy back the land and forget about developing it for tourism. The bones and blood of ancestors are not for sale, the land they fought for and the battlefields where they died are sacred ground. Every battle field, every encampment, every location where our people fell in battle are our Arlington National Cementery, and we need to treat them as such.